Bright Kids Crabbs Cross has won an award for being a top recommended nursery in the West Midlands region. The setting came in an overall seventh position out of 1,178 nurseries in the West Midlands. 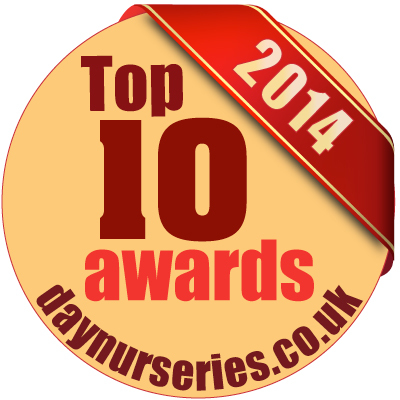 The top ten nurseries in the region received an award from online directory and industry website daynurseries.co.uk. The award was based on the nursery’s online recommendations by parents and carers of children that attend. Director of daynurseries.co.uk Davina Ludlow said: “We felt the best people to rate a day nursery were the people who really know its ins and outs; the parents, relatives, and guardians of the children who attend. “Bright Kids at Crabbs Cross has proved that it is an excellent childcare setting and we’d like to congratulate them on being a top recommended nursery in the West Midlands! It’s a great achievement to be recognised for your hard work but particularly from the people who you work hard for. Manager at Bright Kids Crabbs Cross Anita Shepherd told said: “We were amazed to get the award. It was such a lovely surprise and a great achievement for everyone at the nursery. At Bright Kids Crabbs Cross we feel we offer a safe, stimulating and fun environment which allows children to develop creativity and curiosity through challenging and engaging activities. For the full list of winners visit www.daynurseries.co.uk/awards.